You’ve had your grandma’s egg salad so many times you know the recipe by heart. Tired of the usual combo? 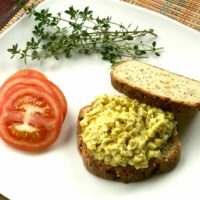 This spiced up traditional egg salad recipe adds a little curry and caramelized onion for a new take on an old favorite. Eggs are a good source of protein, perfect for after weight training. They also contain lutein in the yolk which may help preserve vision, vitamin B12 which plays an important role in brain function and DNA synthesis (eggs-pecially important for expecting mothers and developing babies), and selenium which may help protect against some cancers. 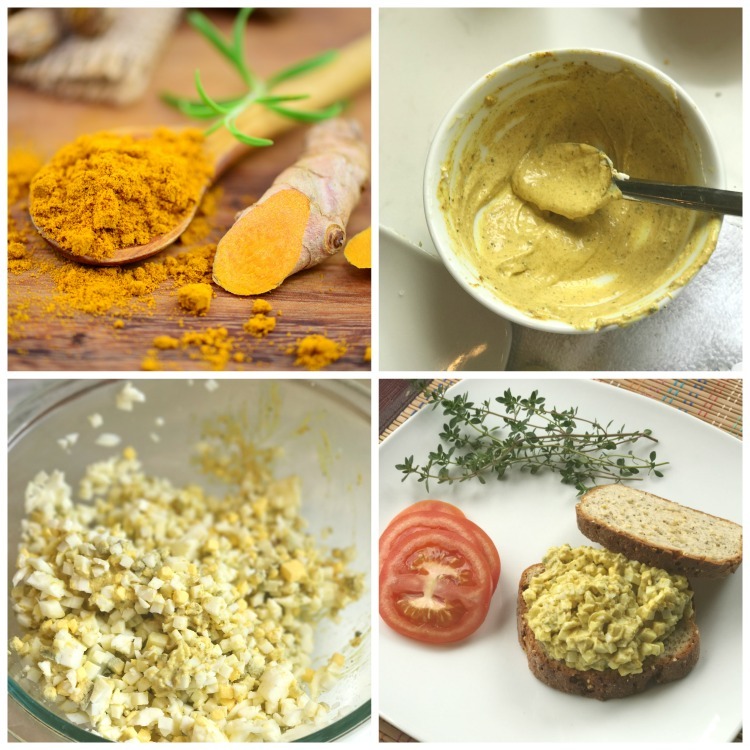 Bonus: black pepper boosts the turmeric’s anti-inflammatory compounds (found in curry powder). Why not have a crack at this tasty recipe? Using an egg slicer, slice eggs, rotate 90 degrees and slice again. Don’t have an egg slicer? Dice into small squares. Mix together the Greek yogurt and the mayo. Add in all the spices to the yogurt mixture and stir to combine. Stir yogurt and spice mixture into the eggs. Serve on whole grain toast with vegetables.